Dentist Lawrence: Why is Flossing so Important? Flossing is one of the most important parts of your oral care routine. #1. Brushing alone isn’t enough. While a toothbrush does a great job of removing the plaque that sits on top of your teeth, its bristles can’t adequately reach under your gums or between your teeth. If you don’t floss, then there’s a good chance that there’s plaque building up under your gums and between your teeth. Additionally, flossing before you brush your teeth can actually make your toothbrush and toothpaste more effective. The less plaque you have, the more fluoride from your toothpaste will come in contact with your mouth, which can help to prevent tooth decay. #2. Flossing helps to protect your gums. Flossing helps to get rid of the tiny food particles that end up getting lodged where you teeth and gums meet. If you don’t floss, the plaque in that area can turn into tartar and eventually lead to gingivitis, the first stage of gum disease. 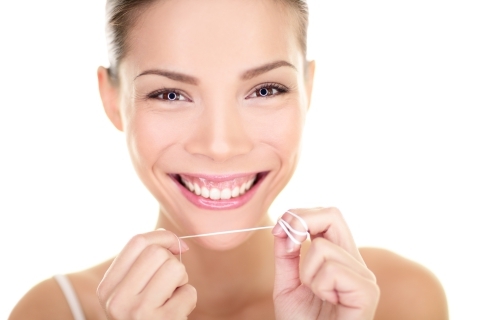 Want to learn about more reasons why flossing is so important? If so, please stay tuned for our next blog!